I love your review! I agree that it’s so important to tell the other side of the story as well and I will definitely be checking The Silence of the Girls out. I enjoy retellings of myths and am looking forward to reading it. Thanks! I hope you do read it — I’d love to hear your thoughts! Great review, Lisa! I have a copy of this and I’m planning to read it soon. That’s so interesting what you said about this book being a rebuke to The Song of Achilles – I wonder more if it’s a rebuke to the 2004 film Troy, where Achilles and Briseis’s relationship is portrayed as a love story. 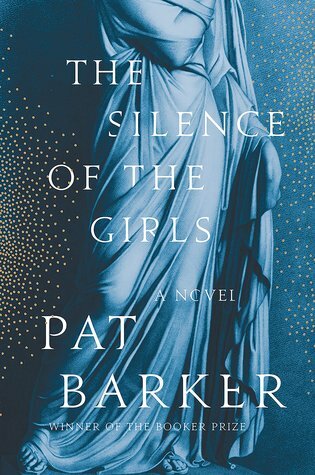 I love The Song of Achilles, but I’m really looking forward to reading this and hoping to love this one, too, I love that with classic myths like this there can be so many interpretations of the events, but women like Briseis are so often erased from the narrative it’s nice to see her being given the focus. Ah, good point about the movie, which I haven’t seen. I don’t really think it’s necessarily a response to Song of Achilles, but that book was so much on my mind, since I just read it a few weeks ago. I think the point is that these stories always focus on the men — their victories, their arguments, their friendships or loves — and that the women are seen only in relationship to the men — someone’s daughter, wife, lover. This book really is fascinating, and I’d love to hear what you think.